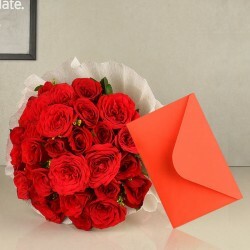 Now sending flowers to Chandigarh on the wonderful occasion of Valentine's Day is just a few clicks away! MyFlowerTree gives you the opportunity to book your favorite flowers and flower bouquets online and get it delivered to your dear ones in due time. Valentine’s Day is a special day to celebrate love, to express your deepest emotions for someone special, and to confess your love for someone you like. However, doing so is not as easy it sounds, especially for someone who is shy or an introvert. And, that’s when our wide variety of Valentine flowers help. Yes, there is nothing like flowers that can speak a thousand words on your behalf. So, now book romantic Valentine flowers online in Chandigarh from us and have them delivered to the recipient’s doorstep on the same day. 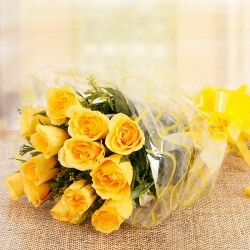 When it comes to love and romance, there is nothing like flowers that exudes these sentiments. So, if you send Valentine flowers to Chandigarh for your lover from us, she will surely be pleased by this gesture. 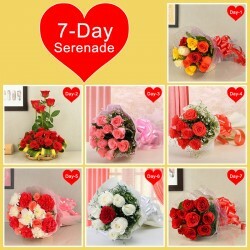 The Valentine flowers available at our online flower shop are affordable. 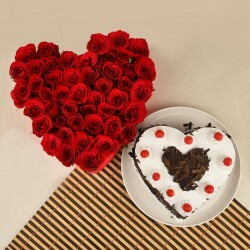 You can find Valentine bouquet under rupees 499, between 500-999, 1000-1499, and so on. Since every flower delivers a different message, we offer flowers in a spectrum of colours including red, yellow, pink, white, purple, etc. 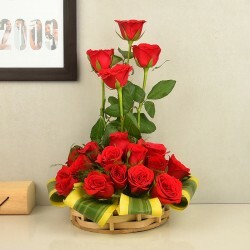 Coming to our flower arrangements, we have got the finest ones for you all in Chandigarh. 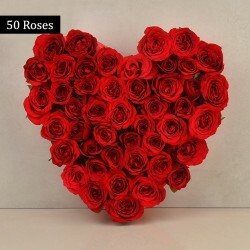 Whether you want a basket flower arrangement or a vase flower arrangement or a bouquet or a basket arrangement, find the most beautiful Valentine flower arrangements available here at MyFlowerTree. Giving or sending flowers to someone you love has always been a traditional way of celebrating Valentine’s Day and it continues to be. Flowers are the easiest, safest, and cost-effective way of making your girl feel butterflies in her stomach on 14th February. Do you know, why? Well, firstly, each flower has a meaning associated it. For example, roses convey love, carnations convey fascination, orchids convey beauty, and so on. Therefore, giving flowers to your beloved on Valentine’s Day helps you in expressing all your feelings in an effortless way. Secondly, flowers are loved by everyone so they make the safest gift choice on Valentine’s Day. 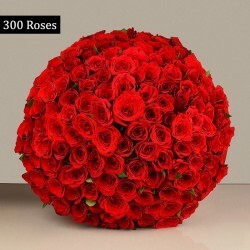 MyFlowerTree offers you all a wide variety of alluring Valentine flowers online in Chandigarh that now you can order from the comfort of your home. We have regal roses, exotic orchids, beautiful carnations, cheerful daisies, pure lilies, and so on to make your Valentine’s Day special. Everyone puts their 100% efforts to make their lover feel special on Valentine's Day. While most of you prefer taking your Valentine out for a candlelight dinner, some of you might not prefer the same. If you are one of them who doesn't want to celebrate Valentine's Day in a crowded place and instead would like to plan some surprise for his Valentine then, go ahead to send Valentine flowers to Chandigarh at your lover's doorstep via our delivery. 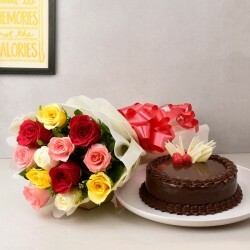 If you want to surprise your lover who stays in Chandigarh then, send a bouquet of gorgeous flowers at her doorstep and make her feel special. Now, sending flowers to Chandigarh is quick and hassle-free. 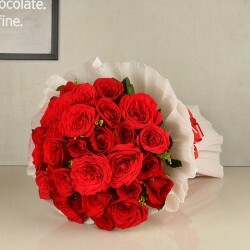 All you need to do is avail our Valentine flower delivery in Chandigarh to order or send Valentine flowers to your loved one.